Surrounded by a rich cultural heritage and fascinating history, Albufeira is a wonderful destination for a family vacation. Albufeira in Arabic means “Castle of the Sea” and features monuments and interesting sites that date back to the Neolithic and Bronze ages. 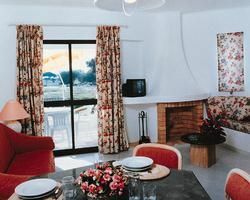 While staying in an Albufeira timeshare, you can explore the old city with cobblestone streets and local shops or venture into the new section with nightclubs, restaurants and golf courses. Located in the southern portion of Portugal, Albufeira provides amazing views of the beach and scenic landscape. The Mediterranean climate creates a warm pleasant atmosphere almost all year round and there are a variety of activities and entertainment for all ages. 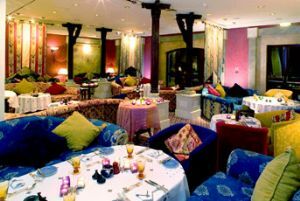 With over a hundred different restaurants where you can enjoy all types of cuisine, to a vibrant nightlife and social scene, the town attracts vacationers from all over the world. Visiting the area during the summer months of June to September provides a wide range of activities and the hustle and bustle of the busiest tourist time of the year. The beautiful beaches are just one of the attractions of Albufeira. The warm water is perfect to swim in and you can stroll along the water’s edge admiring the sunset. You will also enjoy a variety of water activities and tours all throughout the summer months. Plan a day of dolphin watching or deep-sea fishing with the kids or hang out on a party boat with unlimited drinks. Families will also enjoy the water parks in the area including Slide and Splash, Aqualand, and Aquashow. The gravity-defying slides and wave pools offer excitement to all ages. Zoomarine is another fun destination where you will see dolphins, tropical birds, and a variety of marine life. Although you may not think of Albufeira as a golf destination, there are wonderful courses throughout the area. You can bring your own clubs or rent them and travel to the Salgados, Pine Cliffs, or Balaia golf courses and admire the beauty of the area with a challenging nine or eighteen-hole match. During the quieter winter months, the weather is still mild and you can take a day trip to Silves and explore the history and culture of the 11th century capital of Algarve. You can also experience the castle that leads down to the water of the Arade River and admire the amazing architecture and landscape. 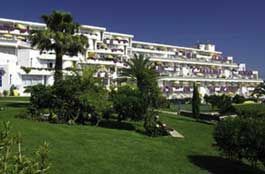 Adults enjoy staying at an Albufeira timeshare during the winter when there are fewer people around and days and nights can be spent in the restaurants, bars, and nightclubs having a good time. This is a more affordable time of year to plan a girl’s getaway or a family reunion. New Year celebrations include open-air concerts, firework displays, and a festive atmosphere. Although once a peaceful fishing village, Albufeira has become a popular vacation destination in Portugal. The warm climate and amazing beaches offer visitors recreation all throughout the year. Local restaurants and charming shops feature slices of Portugal’s culture and history and a buzzing nightlife is perfect for energetic singles and couples looking to have a good time. Whether you choose to visit during the busy high season or the more tranquil winter months, everyone will have a wonderful time in Albufeira. 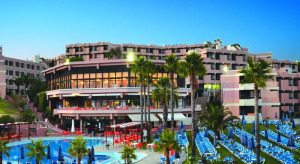 An affordable Albufeira timeshare is all that you need to experience this remarkable destination, so check the deals on offer here at BuyaTimeshare.com and you’ll be off to Portugal in no time! of activities and the hustle and bustle of the busiest tourist time of the year. The beautiful beaches are just one of the attractions of Albufeira. The warm water is perfect to swim in and you can stroll along the water’s edge admiring the sunset. You will also enjoy a variety of water activities and tours all throughout the summer months. Plan a day of dolphin watching or deep-sea fishing with the kids or hang out on a party boat with unlimited drinks.